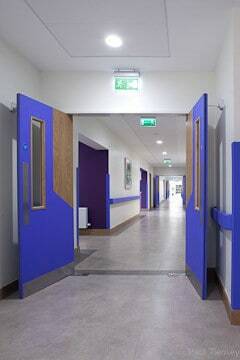 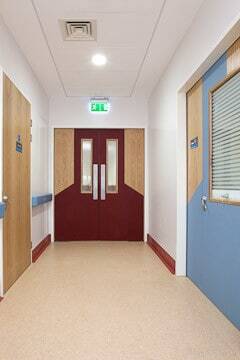 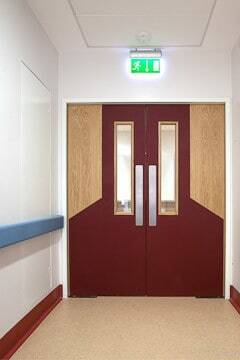 Casey Doors requested Architectural photography for their range of Fire doors in a nursing home. 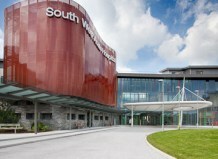 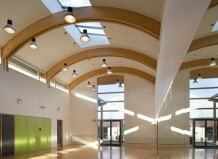 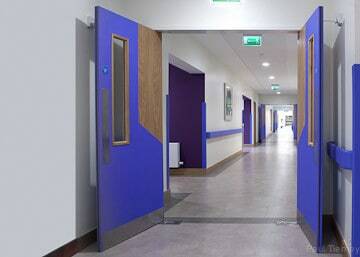 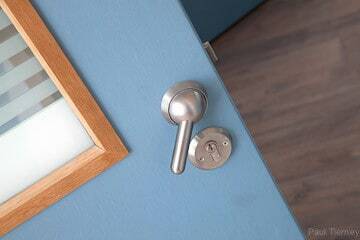 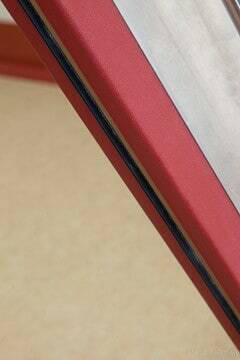 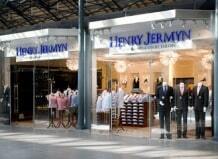 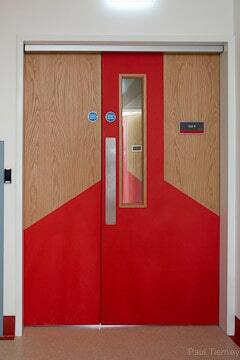 The fire doors are high spec architectural doors with specialist vision panels and associated details. 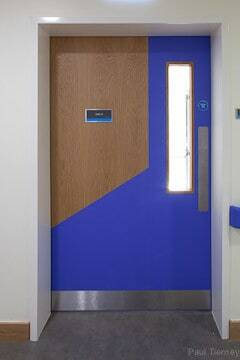 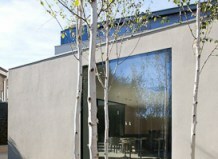 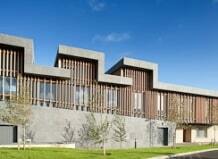 The project comprised of photographing the doors in situ. 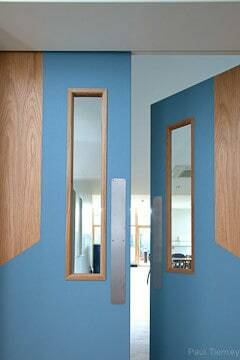 Details of the ironmongery including , escutcheons, roses, push plates , kick plates, hinges , door closers and all associated ironmongery. 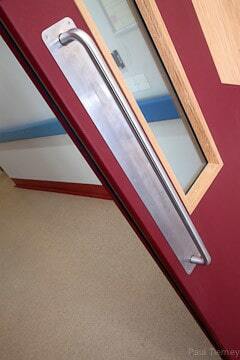 As part of the project the anti-ligature hardware was also documented. 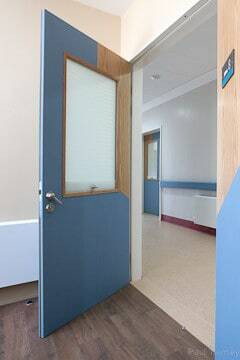 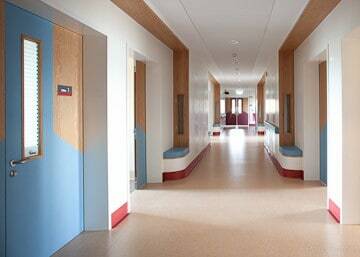 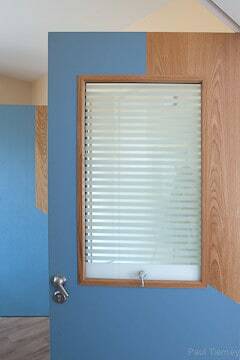 The door sets were an integral part of the nursing home design. 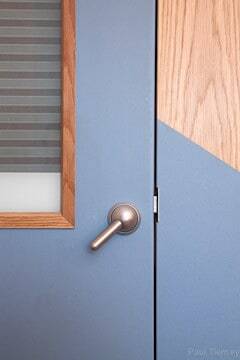 The color of the door sets were used as a way finding mechanism to denote the various zones of the building. 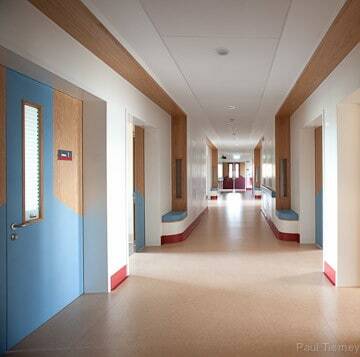 Casey doors requested a very graphic style of architectural photography to fit their website and marketing material. 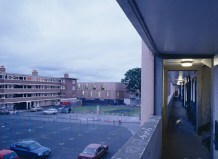 The final images were used in their paper literature and website .